Companies and organizations email me on a regular basis wanting me to share their teacher-related product with you, my reader. I am happy to say that I found the first company that I thought would be a great tip to share with you. In my undergrad days, I was a little naive when it came to the cost of college. Thanks to student loans, I was able to go to college. It was so easy to sign my name on the dotted line of those loans. Little did I realize that those loans would take years and years to pay off. When I went to grad school, I was much smarter and more financially secure so I paid cash. When you are writing big checks left and right each semester you truly realize the actual cost of college. One of the biggest surprises for me in grad school was the cost of books. College textbooks are not on the same (cost) playing field as your favorite novel from Amazon. When Angela at Campusbookrental.com contacted me, I was intrigued. First because I remembered my “discovery” of the cost of books in grad school and second because my daughter will be going to college in a few years so this is a topic that hits close to home. 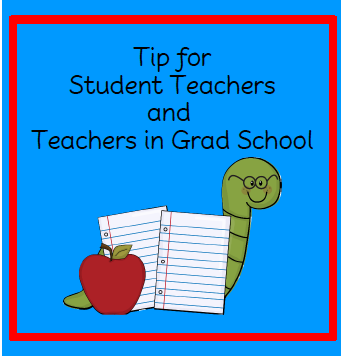 I know that several of my readers are student teachers and others are going to grad school so this seemed like helpful information to pass along to you. *A portion of the rental fees goes to support OperationSmile. There are more advantages on the website. The list price is $66. *You must be a follower of my blog. Please check to make sure you are an official follower. If your name is chosen and you aren’t a follower, you will be disqualified. *Leave your name and email address in the comment section below. *I will announce the winner on my blog and FB plus email the winner on August 31st. You have 48 hours to respond to my email. If no response in 48 hours, I will choose a new winner. Enter by August 30th at 10 p.m. (Pacific Time Zone). I will email you to let you know you have won. I deleted one comment because it didn’t have an email address.